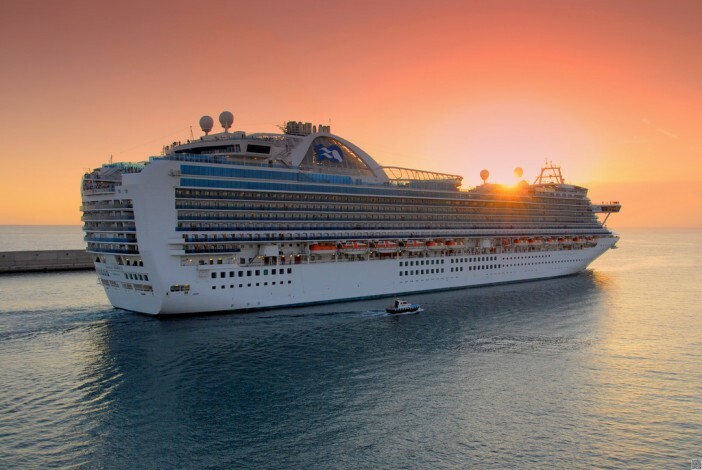 Whether you’re a seasoned cruiser or a first timer, there are a few insider secrets that ever passenger needs to know before embarking on cruise. Here are our top 9! Not all cruise ships are created equal and the vessel you choose will play a huge part in your overall experience! Royal Caribbean, Princess, Norwegian Cruise Line vessels offer an extravagant and large scale megaliner vibe while smaller lines such as Seabourn, Crystal and Silversea create an intimate and exclusive atmosphere. It’s also a good idea to research on-board amenities, dining options and shore excursion opportunities. Most cruise ships invite passengers to board from around 11am. But that doesn’t necessarily mean you should! More often than not you won’t be able to access your cabin until the afternoon which means you’ll have to lug your things around for a few hours or kill time in a restaurant or cafe. Instead, why not check in a little later in the day and spend the morning exploring your departure destination? Contemporary cruising is so much more than sailing the Caribbean. Today lines offer an amazing range of itineraries to suit every interest. From cooking and concerts and to films and star gazing, there’s now a cruise to suit every interest. And the best part is that you’re guaranteed to meet fellow passengers that share your curiosity. Shore excursions can fill up pretty quickly so it always pays to secure your spot in advance! There are some incredible experiences on offer, from safaris and scenic tours to cultural immersions and city excursions. Book a place online or by getting in touch with your cruise operator or travel agent. When booking a cruise it’s important to remember that cabins differ quite significantly. Inside cabins don’t have any windows, outside cabins will sometimes only offer a small peep-hole while staterooms are usually more luxurious. For all out luxury suites offer unrivalled extravagance! Cruise ships now offer some inspiring dining options! Before embarking take some time to research what’s on offer, plan your meals and make sure you don’t miss out on any of your favourites. Cruise ship’s offer exceptionally good customer service and crew are trained to cater to the every need and want of guests. Want another entrée? Fancy an extra pillow? Need some help booking a shore excursion? Just ask! If you have special diet requirements just remember to inform the line in advance. If you’re planning on enjoying a drink or two every day it could be a good idea to consider buying a drinks package. They can be great value and encompass everything from beer and wine to juice and soft drinks. Today’s ships are equipped with state-of-the-art facilities that would make even the most well-travelled globe trotter swoon. Think skydiving simulators, ultra-indulgent day spas, fully equipped sports centres, Broadway style stage shows, speciality restaurants, boutique shops, outdoor cinemas, kids clubs, water parks and more! Whether you’re a cruising veteran or a first timer, make sure you don’t miss out of any of the action by checking out the huge range of Cruise 1st deals.